Thanksgiving: an American holiday uniquely focused on food and family. Not grounded in religion, nor patriotic beliefs, it’s distinctly American in the best way. And yet, on this lovely day, we fail to realize the ancestral fruit of our continent right in the midst of our dinner tables. A fruit which has been unjustly usurped of its cultural legacy by another, more recent addition to the continent. The two fruits I am referring to are apples and pumpkins, known for their central roles in two classic American desserts, pumpkin and apple pie. While apples may seem to be the utmost American fruit – i.e. “American as apple pie” – recent advances in genetic technologies have allowed scientists to reconstruct the history of both crops, calling into question: which is the truly American fruit? Recently, scientists from two different labs used DNA to trace back the ancient origins of apples and pumpkins to their ancestral homelands by looking at each species’ overall genetic diversity. Genetic diversity simply refers to differences in DNA among members of the same species. For instance, while dogs of the same breed have low genetic diversity (similar DNA), dogs from different breeds have higher genetic diversity (different DNA). This allows us to identify where species originated because geographic regions with the most overall genetic diversity tend to be where species initially evolved. When animals or plants travel long distances, they experience a ‘genetic bottleneck‘, where only a few organisms from the original group leave and reproduce. This increases similarity in DNA between all future organisms from this migrant population, lowering genetic diversity. So, by using genetic diversity as a proxy for ancestry, scientists were able to trace back the origins of both pumpkins and apples. Scientists analyzing the genetic sequence of a diverse range of apples pinpointed their origin to Kazakhstan, in the Tian Shan mountains. Ancient traders spread apples to Europe via the silk road. Apples continued making headway into Europe, and finally America with the colonization of New England in 1620. The route Apples took before making their way into the Americas. Map Data: Google, 2018. Even when apples reached the Americas, they were too small, bitter, and sour to be eaten as food. They were solely used to brew alcoholic cider – a common practice to circumvent the lack of clean drinking water. So while apples arrived in the Americas with these immigrants, apple pie was still a distant dream. Although figures like Johnny Appleseed (yes, he was a real person) and apples in general stand large in American culture, they weren’t an intimate part of early American food tradition. Newly arrived American immigrants found a different, more colorful source of calories and dessert: the pumpkin. Scientists interested in identifying the origins of pumpkins began analyzing the genetic diversity of Cucurbita Pepo (a group of plants containing pumpkins) and Cucurbita Maxima (a closely related group of squashes). Scientists were thus able to pinpoint an origin somewhere in the American southwest. This makes sense considering how frequently pumpkins were discussed in Native American oral tradition, and their central role in the three sisters cultivation method. Initially grown for seeds, pumpkin flesh eventually became more edible as humans selected for better-tasting pumpkins. Over time, pumpkins became an intimate part of Native American food – stewed, roasted, and even preserved as a type of jerky for longer storage. It should be noted that these pumpkins were not the classic jack-o’-lantern orange we know today. Rather, they came in a menagerie of greens, oranges and reds, with a profusion of textures and shapes. Native Americans were not the only pumpkin lovers. Colonists quickly realized their importance as a staple food, storing and eating them year round. Pumpkins became such a massive part of pilgrim cuisine that they even wrote poems to the glory of pumpkins. John Pablo Mendieta is a graduate student pursuing a PhD in bioinformatics and genomics at the University of Georgia. His specific interest lie at the intersection of agriculture, and genetic technologies. 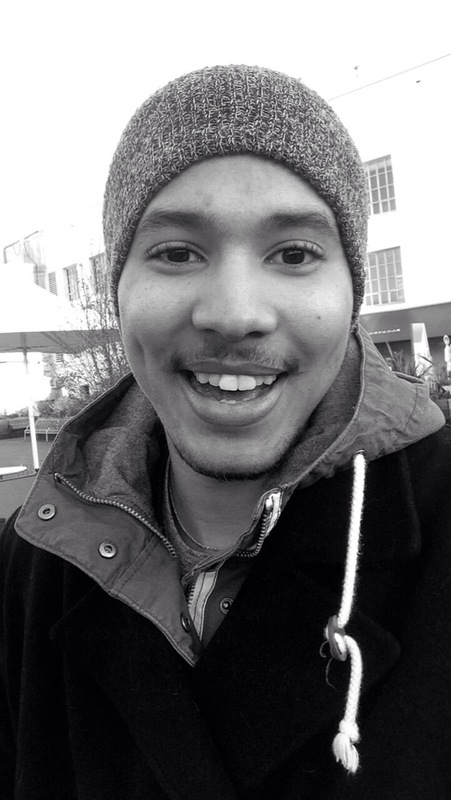 From Boulder Colorado, he enjoys the outdoors, science fiction, programming, and hip hop. You can email him at john.mendieta@uga.com or follow him on twitter @Pabster212.